If your translation project is highly complex, mission-critical, or just plain important from any other point of view, then we are what youre looking for. 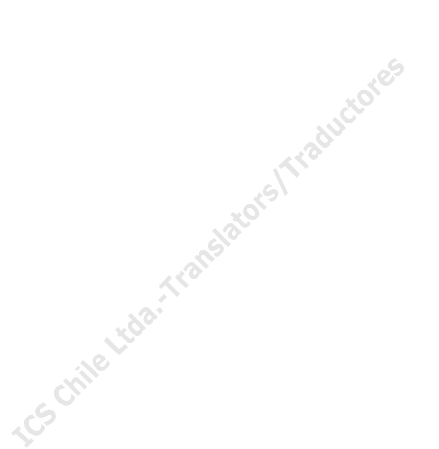 Solidly backed by 37 years in the business and over 15 million words translated, ICS Chile Ltda. is an international provider of top-notch technical, literary, and general Spanish/English, English/Spanish translation and language consultancy services, notably revision and edition of scholarly work, to leading public and private sector clients across Chile, Canada, the United States and Europe, including the United Nations Organization. We can receive and deliver translation assignments as attachments to mail or by other electronic means, such as FTP and Dropbox. Translated copy can be delivered anywhere on most popular machine-readable formats. We are the translators of choice for most major foreign-language publications produced in Chile, many of which are distributed worldwide through diplomatic and trade channels. In fact, over the past quarter century we have translated into English a significant share of the business, technical, scientific, political, and promotional materials destined by Chiles public and private sectors for circulation abroad. Most importantly, we translate science and trade materials as well as books and scholarly work for an ever-increasing number of clients -mostly prestigious international organizations and NGOs- across Canada, the United States and Europe. To see what some of these clients have to say about the uncompromising quality of our work, click here. If you would like to find out who these clients are, then click here. A detailed inventory of recent academic and scholarly translation and revision work is also available on LinkedIn. Our rate for translation from or into Spanish is US$0.17 per word in the original language (or the local currency equivalent). Charging per volume of words is not just the international norm -it also gives clients real control, as cost is simply a direct function of the actual amount of material sent in for translation. If you would like to find out the cost of a specific project, just forward a copy of the material in confidence and we will promptly return a quote at no cost to you. There is no additional charge for complex or rush assignments and payment of invoices in Chile or abroad is a very simple transaction. If you require highly specialized technical, literary, or general translation into Spanish or English by experienced, quality-conscious professionals who uphold the highest international standards, look no further. As specialist providers of language-related services, we will expertly meet your communication needs as you meet the challenge of globalization.